Percentage of orders picked accurately. Percentage of orders delivered with accurate items and quantities. Metrics related to these key areas are included in best-in-class operations dashboard and monitored closely. Optimum target for percentage of orders picked accurately is expect to be approximately 99.2% while maintaining over 99% accurate deliveries. Before improvements can be made, an assessment helps to identify areas where you can improve operational performance. As an assessment is completed, workflow and procedures are often the easiest areas in which to make improvements. Your goal is to minimize the number of times a product is handled, and the number of steps your crew has to take to move the product through the facility. Providing the potential to match future needs is critical. Often times new technology is missed and so is the opportunity to have a major impact on the workflow and processes in the operation. 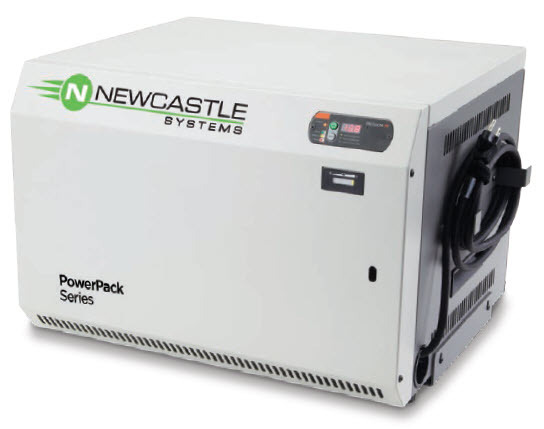 For instance, Newcastle’s NEW PowerPack Series Portable Power System is not yet a piece of equipment found in the main stream but has already created success in many companies. This sturdy, compact unit is ideal for power­ing computers, printers, POS systems, scales, testers and any other electronic hardware any­where within your facility. At the end of your shift or use, simply plug the unit into a standard wall outlet to recharge. Eliminate the need for extension cords or noisy generators! 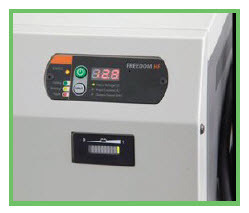 Housed in a sealed but fully ventilated steel cab­inet, the PowerPack Series comes standard with an inverter (modified sine wave, input 12 volts, output 115 VAC, 60 Hz), battery, smart charger (20 Amp, with automatic shut off) and fusing system. Areas where power is not available such as far corners of the warehouse, loading docks, remote storage areas and much more. A PowerPack offers seamless rechargeable power with the ability to run up to 4 devices for 10+ hours and an integrated 6 outlet power strip. While the key metrics can be monitored closely, a hands on assessment will reveal the opportunities. During the assessment consider how portable power will eliminate steps and improve the workflow. If you are evaluating your workflow and processes to improve productivity, download the Mobility Audit here to help you understand if portable power would benefit your operation.